Purchasing timber shutters or indeed any major home improvement requires a fair amount of “due diligence”. The following information should really help you when it comes to making the right decision. Your home is of course an important place for you and there's no point in having home insurance if you are not going to fill your home with nice things. 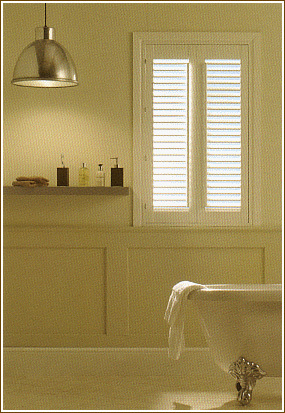 These shutters are the extra detail that really makes your home lovely. What type of wood is being used? In particular will this wood last over the longer term and could it be subject to warping? Is the timber – eco-friendly? Something that increasingly concerns globally aware buyers. Does the supplier offer a worthwhile guarantee – and what does it cover? How are the shutters secured to the wall? There are cheap and cheerful methods and then there is the correct method. Are there any problems with fading – due to sunlight? What material is used for hinges / Fixings are being used? Are the durable and long lasting? Does the supplier offer a complete design, survey and installation service – or do they sub-contract out some parts of the operation? 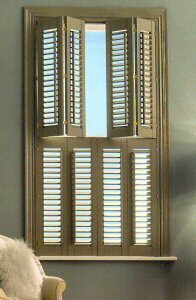 Can you really have individually “made to measure” shutters or will you be supplied with standard shutters, adapted on site. Clearly made to measure will give the most pleasing results and will ultimately be a better investment, despite the usually higher cost to begin with. It is also always worth noting (both for buyer and seller) that in the UK - The Sale of Goods Act applies. Wherever goods are bought they must "conform to contract". This means they must be as described, fit for purpose and of satisfactory quality (i.e. not inherently faulty at the time of sale). Aspects of quality include fitness for purpose, freedom from minor defects, appearance and finish, durability and safety. It is the seller, not the manufacturer, who is responsible if goods do not conform to contract. For up to six years after purchase (five years from discovery in Scotland) purchasers can demand damages (which a court would equate to the cost of a repair or replacement). A purchaser who is a consumer, i.e. is not buying in the course of a business, can alternatively request a repair or replacement. In general, the onus is on all purchasers to prove the goods did not conform to contract (e.g. was inherently faulty) and should have reasonably lasted until this point in time (i.e. perishable goods do not last for six years). After six months and until the end of the six years, it is for the consumer to prove the lack of conformity. Reference Material: Sale of Goods Act 1979. Supply of Goods and Services Act 1982. Sale and Supply of Goods Act 1994. The Sale and Supply of Goods to Consumers Regulations 2002. The material contained in this web site is provided for general information purposes only. The material is believed to be accurate although no representation or warranty is given (express or implied) as to its accuracy completeness or correctness. Quotatis Ltd and the authors accepts no liability or responsibility whatsoever for any loss suffered by any use of the information contained on this web site. By continuing to use this web site you are deemed to accept the above terms and conditions.